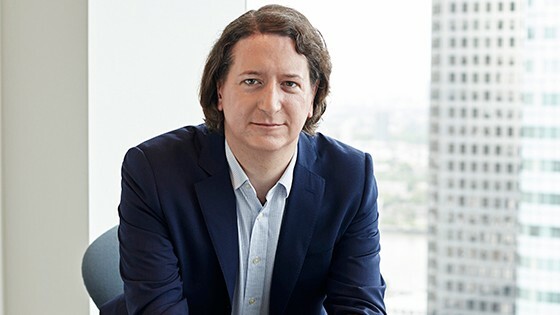 Nick Kerigan, MD of Future Payments at Barclaycard, looks at how innovation is helping the payment industry to balance offering seamless payments with keeping people in control of their money. The search for ever-greater convenience has been a key theme in payment innovation in recent years and with good reason: consumers increasingly demand a quick and easy payment experience, and offering those has become an important factor in how companies attract and retain customers. As a result, it’s now taken for granted that innovation should focus on finding new ways to make transactions seamless. But there’s a flip side to this convenience. As technology advances, it’s more important than ever for the industry to ensure that customers feel reassured that they are still aware and in control of how much they are spending and where. Seamless payments have become the cornerstone of an omnichannel shopping experience, especially as people increasingly use digital devices to shop and pay, both in-store and online. Shoppers now expect retailers to be flexible and offer a choice of how to make a payment, as well as making their transaction as quick and easy as possible. Innovations such as wearables and biometrics have started to simplify payments to the extent that customers are able to navigate the payment process effortlessly, rather than spending time finding their wallet, entering card details or remembering a PIN. Millennials especially have come to expect this level of experience as standard – as demonstrated through the multiplicity of businesses offering invisible payments, where the payment is embedded inside the shopping experience, such as Uber, Amazon and Domino’s. In fact, these businesses have made the lack of friction of payment a competitive differentiator – achieving success, at least in part, in their respective industries by removing a hassle-factor for consumers. Despite this growing demand for convenience, users still need to feel that they – and only they – are in control of their money. Throughout the day, it’s possible to see how small transactions – a coffee here, a newspaper there – can add up, without shoppers appreciating how much they’ve spent in total. Consumers need to be able to trust new types of payment, and feel that not only do they know what they are spending, they’re aware of whether they are getting good value for money – such as knowing exactly what their tube or taxi journey has cost them. And consumer concerns obviously don’t stop at value: security remains a hot topic, especially in the context of fraud and cyber threats. When the transaction is not explicitly seen by the consumer, transparency is vital to reassure users that no payments are taken without their full knowledge and consent. If consumers are going to stay positive about new payment technology, innovators are going to have to achieve a delicate balance, offering greater convenience and control. One promising development is the enhanced level of spend analytics that can be provided in mobile apps, which give consumers a more informed way of keeping track of their money without adding extra steps to the payment process itself. For example, customers appear to value the tracking features introduced by challenger banks Monzo and Starling, where spend is shown across merchant, time and location; with Monzo, customers can also set monthly targets around types of spend. Similarly, Barclays in the UK has introduced a “cards hub” in Barclays mobile banking which enables cards to be switched on and off digitally. Barclaycard US has also tested a whole suite of card control features – with good levels of user engagement with spend limits and mobile notifications in particular. Another promising solution is digital receipting. A good example of this comes from Flux, a start-up that Barclays is working with through its accelerator programme. Flux automatically links digital receipts to payment cards, allowing the user to keep track of all payments, rather than taking away a paper receipt. It’s a simple idea – but one that can offer better insights for customers and merchants, while benefitting the environment. These companies are some of the pioneers in this space, but we’re only going to see more innovation as fintech start-ups and existing providers alike attempt to use technology to deliver experiences that marry convenience and control for users. Obviously such collaborations need to be conducted in the right way, with the right intent – but the prize is an exciting future in which we create great product and services experiences, with payments included, that truly meet the needs of digital, omnichannel, customers. Lend us your time, with a quick look at 2017 with Banking Technology’s top five lendtech stories.